Elliott Morris is a young guitarist and singer/songwriter prominent in the Lincolnshire, UK music scene who is known for his ‘unorthodox’ style of percussive guitar. and winner of a prestigious Danny Kyle award at Celtic Connections in 2013. John needed a bass player for his forthcoming Grace And Danger tour of the UK. Alan borrowed a fretless bass, practiced frantically for two weeks, auditioned and got the job, a relationship which would last almost thirty years until John’s death. Through his association with John, Alan has recorded and performed with Phil Collins, Eric Clapton, Robert Palmer (for whom he wrote the B-side of the hit Addicted to Love), David Gilmour, Linda Lewis and Bert Jansch. 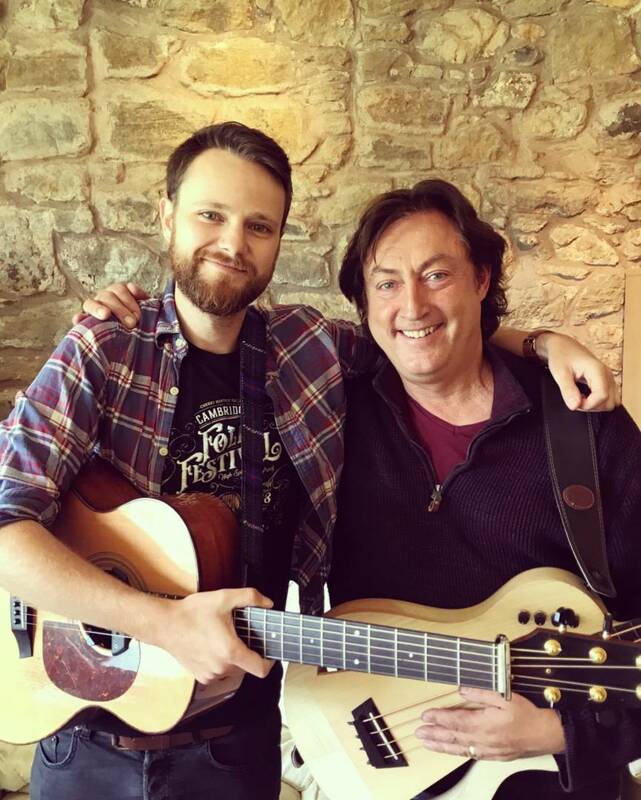 Elliott Morris winner of the 2013 Celtic Connections ‘Danny Kyle Award’ and currently on tour supporting Paul Carrack joins Ex John Martyn Band Bassis Alan Thomson for an evening of Elliot Morris songs with a few John Martyn Songs thrown in……SSssHHhhh Its a Well Kept Secret!